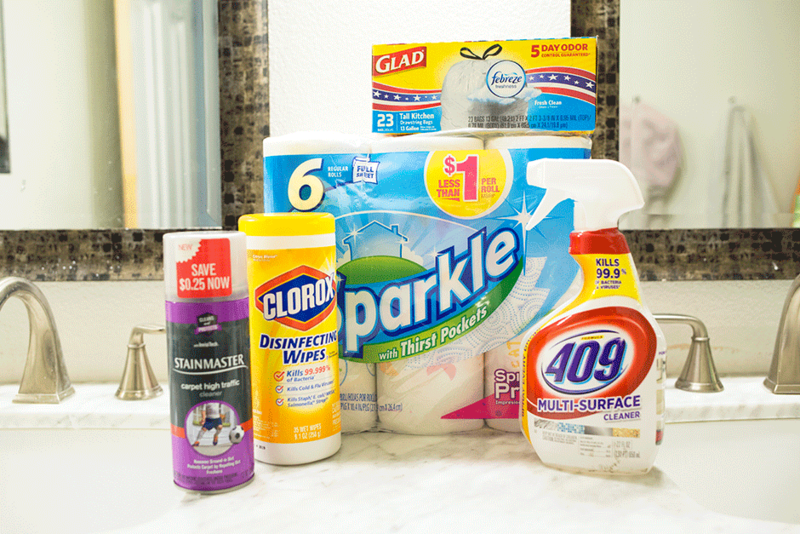 Learn how we keep a (relatively) clean house in less than 5 minutes a day with this cleaning trick and these favorite products! Hey all! With 8 (mostly small) children running around all day, every day (I know, it exhausts me just to type that out), my house is always about 30 seconds away from utter chaos. And like most people, I don’t function so well when the place is a mess and dirt is everywhere. It’s so stressful! Years ago I was lamenting the situation to a friend who suggested just wiping things down every time I see dirty fingerprints, instead of waiting until I have enough time and energy to scrub the whole house. This way of thinking has since become my saving grace for keeping things clean and sanitized. Read on for how we keep the house decently clean without investing more than 5 minutes a day! 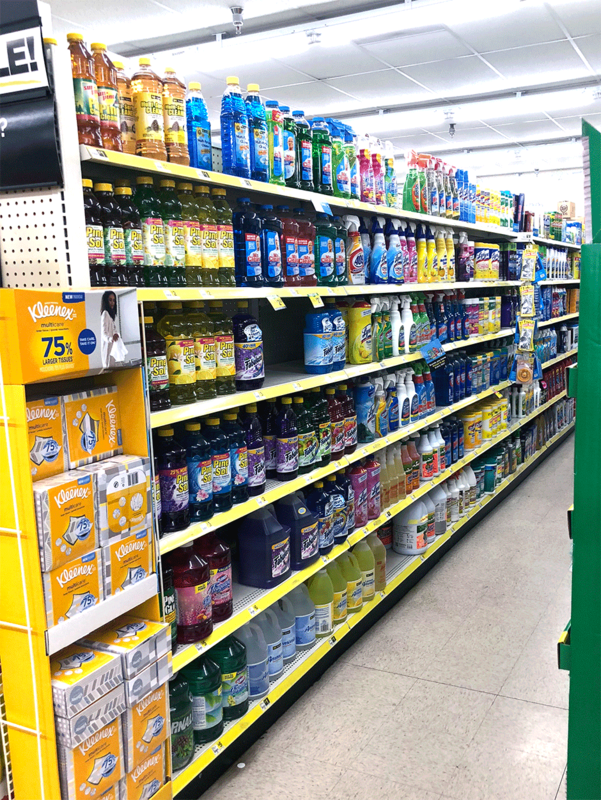 *Clorox® Disinfecting Wipes – these are my go-to cleaning wipes for everything from wiping toilets to scrubbing dirty fingerprints off walls. If I were to be stranded on a filthy desert island, these wipes would be my plus one! *Glad® Trash Bags – grabbing one of these and making a quick run around the house is the easiest way to get all the trash out of my bathroom and bedroom garbage cans and off the floors! This is also a great chore to delegate to a small child. *STAINMASTER® High Traffic Cleaner – the carpet is the one thing in our house that gets beat up the most. I love having a way to treat dirt before it sets in and ruins things. By sticking these products in a little plastic caddy and stashing them in each bathroom & hall closet, I have a convenient little arsenal of tools to handle just about anything my rugrats can throw at me. So tell me, does anyone else clean house like this? Or are you more of a scrub-everything-all-at-once kind of person? Let me know your tricks in the comments! I’ve been trying to teach my kids, one step not two steps. So the idea is put it away in its spot that it belongs, instead of putting it down only to have to pick it up later and put it away. It is not something I am good at, but something I want to be better at.